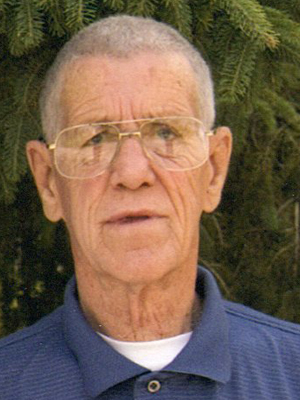 Myles “Butch” Fleek, age 79 of Prior Lake, passed away Saturday, July 7, 2018. A visitation will be held Saturday, July 14, 2018 from 10:00 – 11:00 AM with a memorial service starting at 11:00 AM, all at Ballard-Sunder Funeral & Cremation (4565 Pleasant Street SE) in Prior Lake. On June 2, 1939, Butch was born in Willow River, MN, to parents, John and Nathlie (Roy) Fleek. He was the eighth of ten children to be raised on the family farm. From the time he was 16 years old, Butch was employed as an over-the-road trucker. First as a company driver and then later as an independent contractor when he owned his own vehicle. He drove for a variety of trucking companies and completed his driving career with many years with Transport America, where he won awards including 2 Million Miles of Safe Driving. For over 50 years, Butch traveled across the United States. Despite his constant travels, Butch’s sister introduced him to a young woman, Jeanne. The two were married and their union was blessed with three children—Linda, Matt, and Lisa. While his work had demanding hours, Butch enjoyed time with his family and often took his children on his trucking routes. In his later years, Butch enjoyed yardwork and gardening. He especially loved walking his daughter’s boxer, Khan, around the neighborhood. Butch and Khan were an inseparable pair! He took much pride in his lawn and helped others by loaning out tools or offering to fix broken items. Much to his grandchildren’s distaste, Butch was an avid Green Bay Packer’s fan. While his grandchildren always cheered on the Vikings. Butch loved the rivalry, watching games together, and making bets. Butch faced and overcame many challenges in life, including alcoholism, but through it all he had a caring heart—he was always one to lend a helping hand to others. He will be missed by his children, Linda (Terry) Borgerding, Matt (Ann) Fleek, Lisa (Joe Tauer) Fleek; grandchildren, Jake (Yvonne) Borgerding, Zac (Desi) Borgerding, Emm Borgerding, Lucy Fleek, Eydie Fleek; great-grandchildren, Maggie, Summer, Gabby, and Violet; siblings, Dean Killeen, Chuck Waldorf, Sharon Hess, Mickey (Sharon) Fleek; other loving relatives and friends. Butch is preceded in death by his parents and siblings; Charles, Marie, Bonnie, Dolores, and Bob. One of the last great truck drivers. I drove with Butch many years ago. He was one of the best. He will be remembered and missed by many. Rest in peace Butch!